2. The right to a full refund for a trip that is canceled due to mechanical failures, or a partial refund for voyages that are terminated early due to those failures. 3. The right to have available on board ships operating beyond rivers or coastal waters full-time, professional emergency medical attention, as needed until shore-side medical care becomes available. 4. The right to timely information updates as to any adjustments in the itinerary of the ship in the event of a mechanical failure or emergency, as well as timely updates of the status of efforts to address mechanical failures. 5. The right to a ship crew that is properly trained in emergency and evacuation procedures. 6. The right to an emergency power source in the case of a main generator failure. 7. The right to transportation to the ship’s scheduled port of disembarkation or the passenger’s home city in the event a cruise is terminated early due to mechanical failures. 8. The right to lodging if disembarkation and an overnight stay in an unscheduled port are required when a cruise is terminated early due to mechanical failures. 9. The right to have included on each cruise line’s website a toll-free phone line that can be used for questions or information concerning any aspect of shipboard operations. 10. The right to have this Cruise Line Passenger Bill of Rights published on each line’s website. Robert Peltz, Maritime Law attorney of Leesfield Scolaro, qualified this latest ploy as “just a cynical attempt at deflecting all of the bad publicity which has arisen as a result of the media attention given to the horrendous conditions that passengers have had to endure in several recent ship failures. These so-called “rights” either already exist or are subject to so many qualifications that they are essentially meaningless. To proclaim that their member cruise lines are being generous and caring by agreeing to refund their passengers full fares when their cruise is canceled due to a mechanical failure (Right #2) is disingenuous at best. Are the cruise lines saying they had the right to keep your money even when they canceled your cruise before this proclamation? Likewise, cruise ships are already required to properly train their crews in emergency and evacuation procedures (Right #5) and to have emergency power sources (Right #6) under existing Coast Guard, flag state, classification society and international regulations. Similarly, all cruise ships already carry ship’s doctors and nurses (Right #3) as a result of either U.S. statute, flag state requirements or the previously adopted ACEP Cruise Ship Guidelines. The single reason to explain the very public adoption of these “rights” is to answer one overarching concern: The Almighty Dollar. 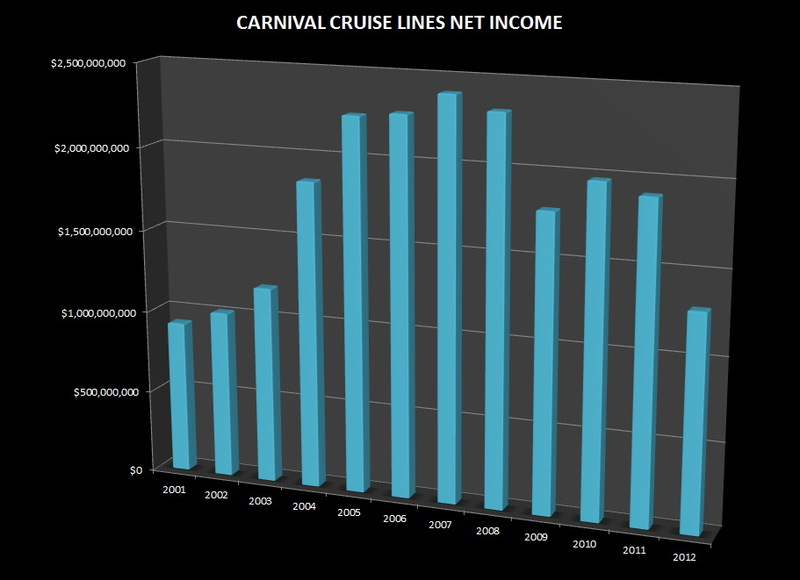 Since 2001, Carnival Cruise (and Royal Caribbean to a lesser extent) has enjoyed continued growth. Before the Costa Concordia tragedy (32 passengers and crew-members were killed; Captain Schettino will be tried for manslaughter in Italy in the coming months) the only revenue dip affected the entire planet during the recession of 2008-2009. Since then, Carnival has had to constantly navigate a sea of bad news to public relations fiasco. 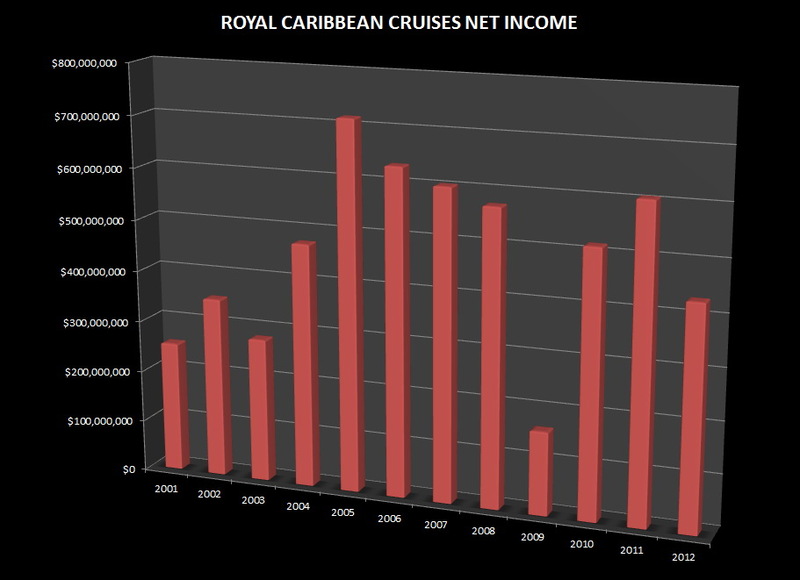 Carnival Cruise and Royal Caribbean, the two largest cruise lines in the world, have seen their net income decrease in the last several years. In 2012, both corporations saw their respective income fall drastically, as low as 2003 net income. In the face of the worst financial storm, Carnival led the way in responding to the political pressures by drafting and supporting CLIA’s adoption of what is now known as the Passenger Bill of Rights, in hope to convince the public that cruises are suddenly safer and passengers will be treated with more dignity than they have in the past. “Not only are these so-called “rights” largely meaningless from a practical standpoint, but they are also designed to distract attention from the real problems that cruise ship passengers face as consumers. Cruise ship tickets and other documents which passengers are required to sign during cruises contain many fine print provisions, which are designed to take away their basic rights when they are injured or killed during the course of a cruise as a result of the negligence of the cruise line, its agents, partners and joint venturers. Although Congress has specifically tackled and outlawed some of these tactics, it has not addressed others, which have received mixed treatment from the courts in the absence of such direct Congressional guidance,” Robert Peltz added. For example, most passengers are shocked to discover that the cruise lines typically insert a clause in tickets on European, Asian and South American itineraries, which seek to limit their right to recover damages, even in the case of death or catastrophic injury, to a fluctuating international monetary scale, which is equivalent to approximately US$70,000. Tickets also sometimes require suit to be filed in foreign countries, most notably Italy in the case of the Costa Concordia, even where the ticket was purchased in the U.S., the passenger is an American citizen and the cruise line maintains considerable domestic business operations. Passengers taking excursions, which are advertised as the focal point of the cruise, are normally required to execute liability waivers, which on their face attempt to excuse the cruise line and its excursion partner from any liability or responsibility for injury or death no matter how outrageous their conduct. Cruise lines often require passengers to execute similar liability waivers for both highly advertised shipboard activities as well as for activities operated on their special get-a-way islands as part of the cruise.